Our apartment hotel is situated at 250 meters to the Mediterranean coastline, it offers air conditioned private rooms and apartments. 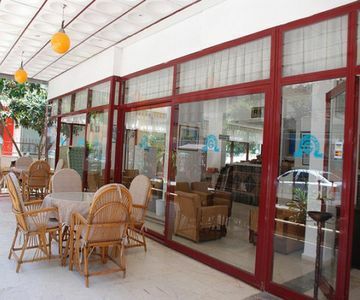 The hotel also offers an outdoor pool with terrace, restaurant and free wi-fi. .
All of the rooms with clean floorings have TV and refrigerator. The apartments also benefit of a fully equiped kitchen. The ensuite bathroom is equiped with a hair dryer. The nearest bus stop is at a 2 minutes of walking distance. We may organise transfers from the Antalya Airport. For monthly rentals, the 1-month rental fee is required as a security deposit. Upon check-out, if no damage, this fee is refunded. If any damage, the fee will be deduced accordingly. 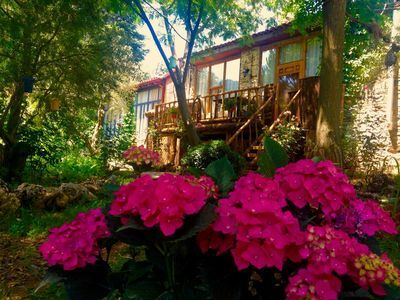 Sirince Daily Rental Family Suite. The property offers an historical Turkish bath in its garden, an outdoor pool and authentic rooms.